Thank you for visiting Realty Empire Real Estate News feed. 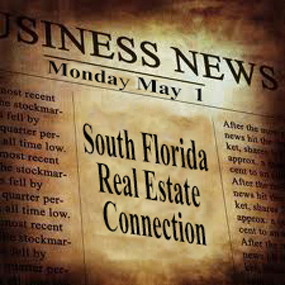 This page is constantly updating with the latest Real Estate news for Miami, Florida and the U.S. So, make sure to check back frequently to stay on top of the current real estate news, like: Current interest rates, Florida market data, National daily trending real estate news and interior design news. Foreclosures have fallen drastically over the past year, but they remain problematic in these states. What tech issues stress agents the most? Florida Realtors Tech Helpline put together the top five. Leading the list? A computer that’s too slow followed by viruses, malware and adware. RealtyTrac: The state is still tops in the number of completed foreclosures with about 14% of the U.S. total, but the problem has subsided to 2007 levels.